“The Lehigh Valley has emerged as a new source for companies with large space requirements that also benefit from proximity to the region’s major consumer bases,” says Brandi Hanback of the Rockefeller Group. 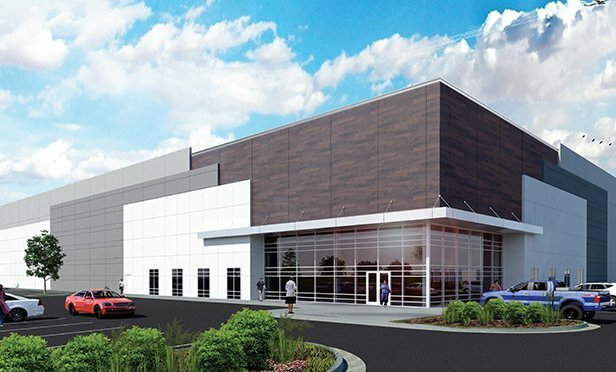 ALLEN TOWNSHIP, PA—Rockefeller Group and joint venture partner PCCP are building the first of a two-building, 1.3-million-square foot distribution center in Allen Township, PA. Construction has commenced on a one-million-square-foot building at Rockefeller Group Logistics Park, with construction for a second 290,788-square-foot building expected to begin later this year. Both buildings are expected to completed by summer 2019.